Get the perfect bike sheds at the lowest prices here at Simply Sheds! 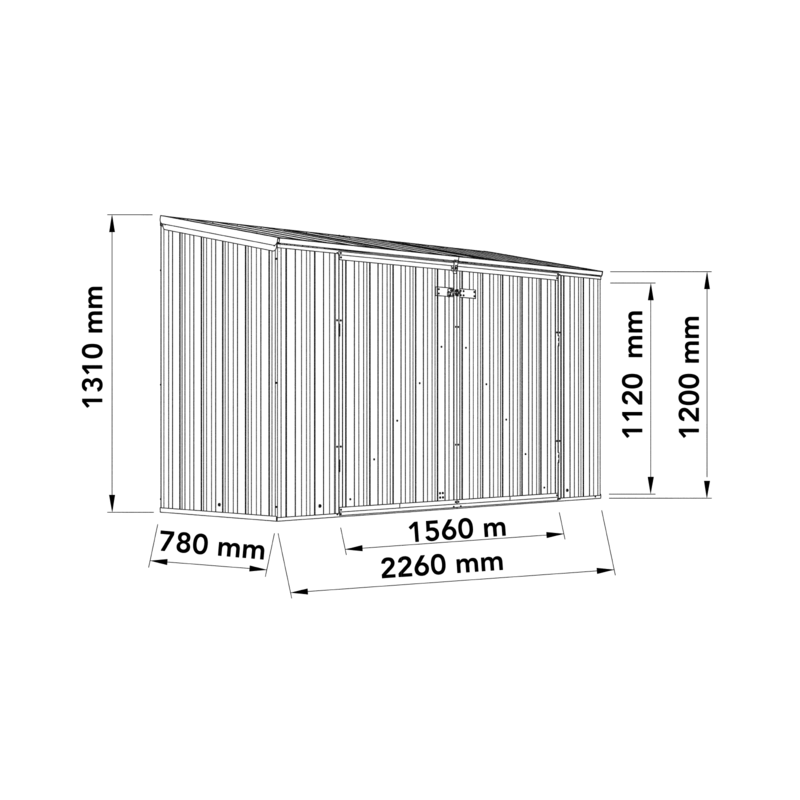 This ABSCO Bike Shed can easily fit in your yard or garage, especially with its 1.31m height. And we can even deliver it to your home for FREE if you’re in any of our selected metro areas. 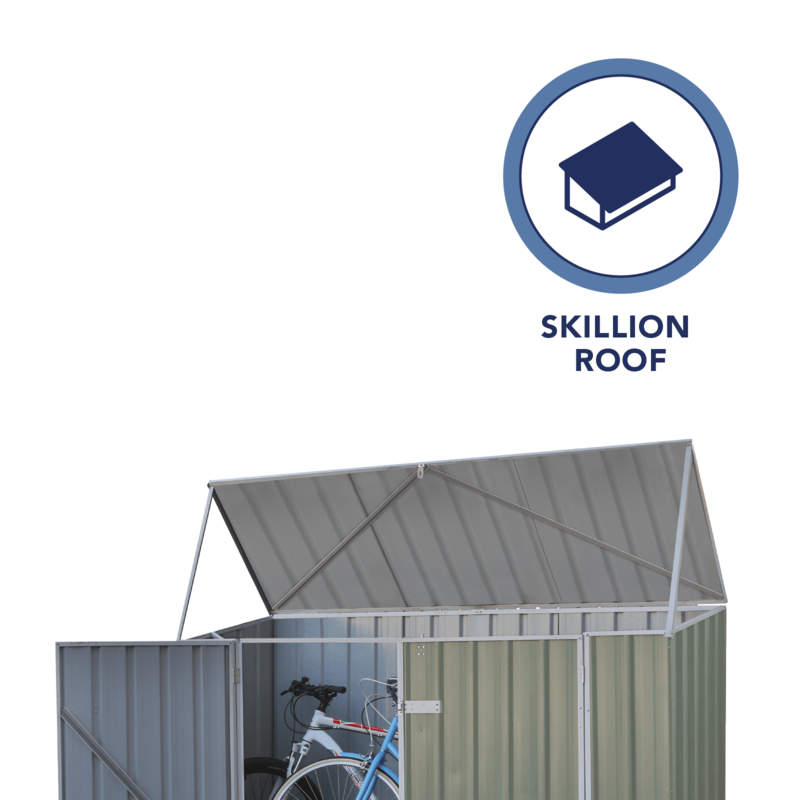 Or you can ask us about our Simplified Shipping options so you’ll know how you can get this bike shed without the usual hassles of online shopping. Need a taller shed? 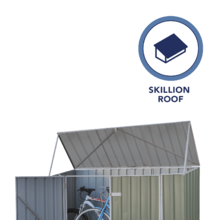 Check out our Eco-nomy Bike Shed in Grey It has a skillion roof and a rear wall height of 1.95m. 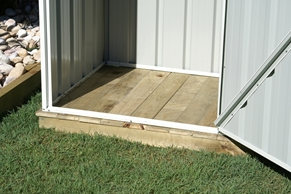 It’s also designed with a main double door and a single side access door. 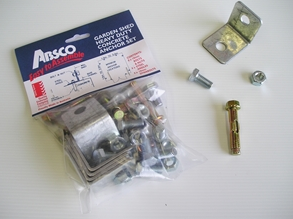 And if you want it tall but slimmer, see the ABSCO Spacesaver Sheds. 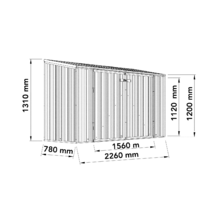 This 2.3m x 0.8m shed has a skillion roof and a double door. They’re available in Zincalume and Colorbond varieties.